The iconic Sydney Opera House in Sydney, Australia. My international homeschooling tour ended in Australia, where I met some of the nicest people in the world. I was actually a bit worried about getting into the country, because when I left South Korea, most of Australia’s domestic flights were grounded due to an ash cloud from a Chilean volcano. My connecting flight out of Guangzhou, China was delayed for two hours, but in the end, it was able to land in Sydney. Even though I arrived late, I still had a long layover in Sydney, so a wonderful family came to rescue me from the airport and show me some of the sights. That’s how I was able to take the picture shown above. 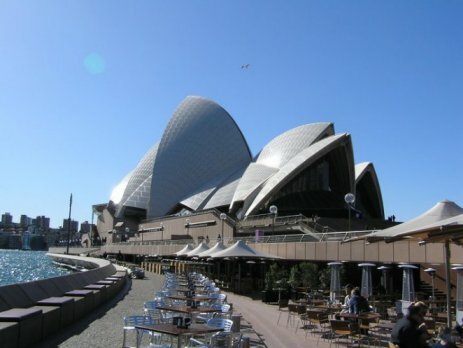 The Sydney Opera House sits in the Sydney harbor, which is really quite beautiful. We certainly don’t have anything like it in Indiana! The highlight of my Sydney tour, however, was lunch, where I got to have kangaroo pizza. Yes, you read that right! Since my first trip to Australia back in 2005, kangaroo has been my favorite meat. Put it on a pizza, and now you have my two favorite foods! It really was wonderful. Of course, the purpose of my trip was not food. It was to speak to homeschoolers in Canberra, Adelaide, and Melbourne. So after lunch, I went back to the airport, where all the domestic flights were back in the air again. I flew from Sydney to Canberra, which I only recently learned is the capital of Australia. Being a stupid American, I assumed that Sydney was the capital, but the wonderful family who hosted me while I was in Canberra quickly educated me on the issue. When the colonies in Australia formed a federation (back in 1901), Melbourne and Sydney both vied to become the capital. However, it was quickly decided that a city should be designed specifically to be the capital of Australia, and the site where Canberra is located was chosen in 1908. An international contest was conducted to see who could plan the best capital city in the world, and in 1913, the design of a Chicago couple, Walter and Marion Griffin, was chosen. I don’t know whether or not Canberra is the best capital city in the world, but it is most certainly the prettiest capital city I have ever visited. It is dominated by a lake that was formed by damming the Molonglo River, and the capital buildings sit on the shore of the lake. In addition, the town is built based on an arrangement of geometric shapes, and while you have to look at an aerial view of the city to see them, even from the ground, you get a sense that the entire city is laid out according to a very pleasing design. The homeschooling group I spoke to in Canberra was incredibly friendly. I was surprised that while the venue was pretty much full, the size of the crowd there (and in the rest of Australia) was smaller than the size of the crowds in my New Zealand talks. Since there are more homeschoolers in Australia than there are in New Zealand, I simply assumed the crowds would be larger in Australia. However, the family who hosted me explained that the population is more spread out in Australia as compared to New Zealand. So even though some people traveled for several hours to come to the event, the audience still sampled only a tiny fraction of Australia’s population. 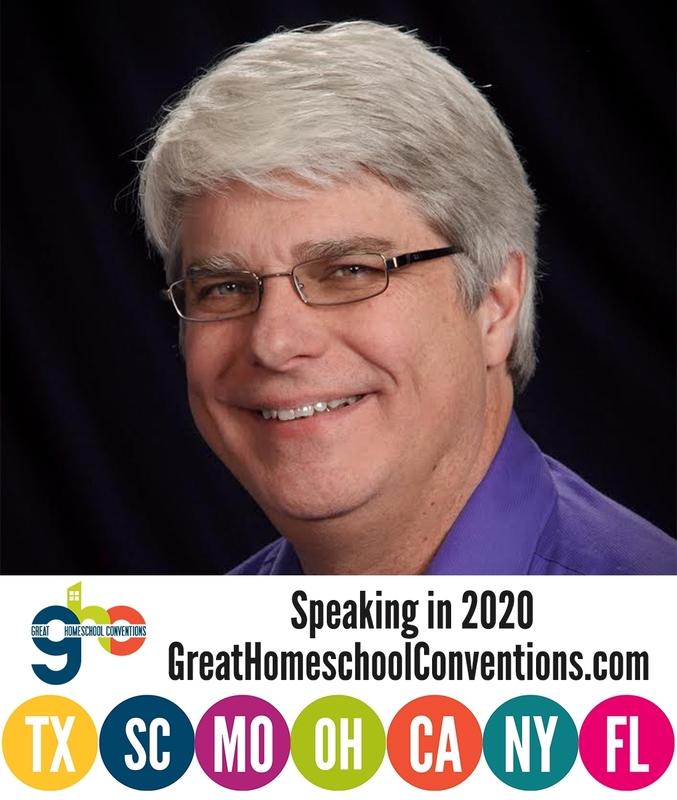 One of the talks I gave in Canberra was called “Homeschooling: The Solution to our Education Problem.” In it, I cover my personal experiences with homeschool graduates when I was on the faculty at Ball State University. I also talk about several U.S. and Canadian studies that have been done on homeschooled students. My experiences and the studies show that homeschooled students are academically quite superior to non-homeschooled students. While there haven’t been rigorous studies done on homeschooled students in Australia, there have been some case studies done, and they are consistent with the studies from the U.S. and Canada. The evidence shows overwhelmingly that these children perform extremely well, above average, when they re-enter formal education. That appears to be across the board, whether they sat at home and had formal lessons…or whether they were up-a-tree hippies who had no formal learning pattern. On any measure you like, socially or academically, they will do better. While I didn’t see any “up-a-tree hippies” at my talks, I did find a lot of home educators who are producing some stellar students! The purpose of trips, especially international trips, should always be food! Black sheep, that’s one thing you and I completely agree on! It was wonderful to meet you – my teens very much enjoyed hearing your talks, as did I. Thankyou so much for taking the time to visit us ‘Down Under’, it was very much appreciated. God bless you. Linda, it was my privilege and honor to come, and it was great to meet you. There is someone from the Gold Coast who has invited me back, so depending on how things go, I might be “Down Under” again really soon!